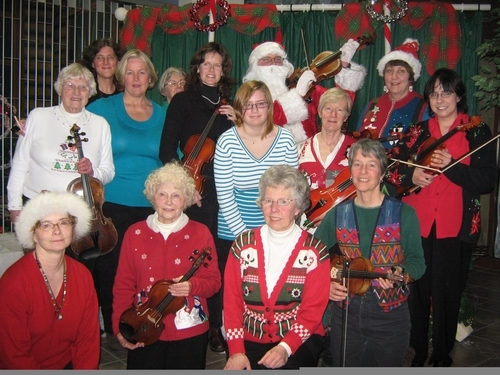 North Star Strings welcomes adult violinists, violists, cellists and bass players who enjoy playing Broadway show tunes, light classics, pops, Celtic and fiddle music. Meetings are Saturdays from 10:00 am to noon in Music Room 301 at the University of Alaska Fairbanks. There are no auditions and new players are welcome at any time. Players of all abilities are encouraged to come. Music is provided and there is no fee. It’s a fun, friendly group that has a good time together. Last season North Star Strings played at the Downtown Association’s Summer and Winter Solstice Festivals, the Fairbanks Winter Folk Fest, weddings, and social and community events. The group plays without a conductor, so members are involved in the planning and preparation for performances. For more information email northstarstrings@yahoo.com or call 907.479.6064.